Purposeology is the spiritually scientific investigation of rediscovering one's individual purpose. Some people have no definite ideas regarding the ingredients of individual purpose. However, some claim totally confidence in their awareness and application of individual purpose. Purposeology offers spiritual as well as empirical assistance to the unsure, and the confident as well. Everyone has a specific individual purpose, and it's time for us to rediscover and implement our reason for being here! This is where we really begin to live a fulfilled life! Therefore, let the journey begin! Purpose-Ology by G Alfred Palmer was published by Purposeology: The Science of Rediscovering Your Individual Purpose in May 2012. The ISBN for Purpose-Ology is 9780578098685. 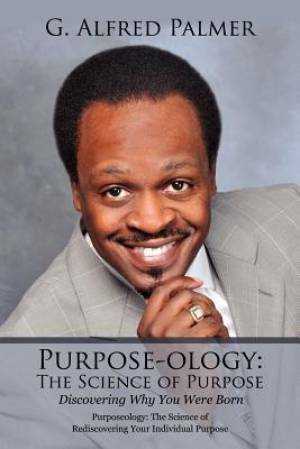 Be the first to review Purpose-Ology! Got a question? No problem! Just click here to ask us about Purpose-Ology.